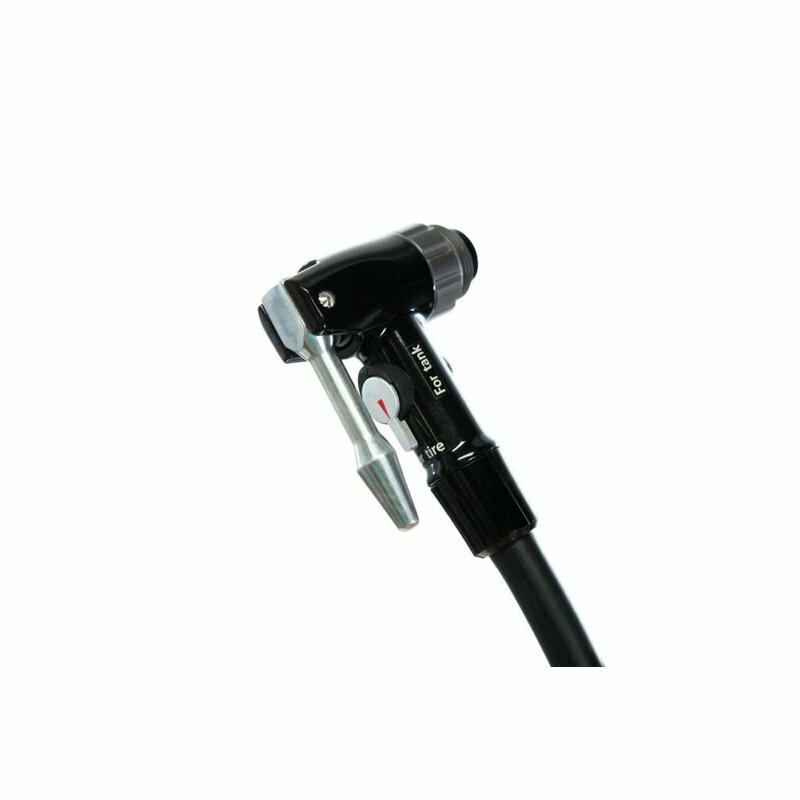 This mountain bike pump has a steel handle, aluminum barrel, and an aluminum sleeve. The reserve ‘TANK’ is incorporated to make it perfect for setting up tubeless tires. 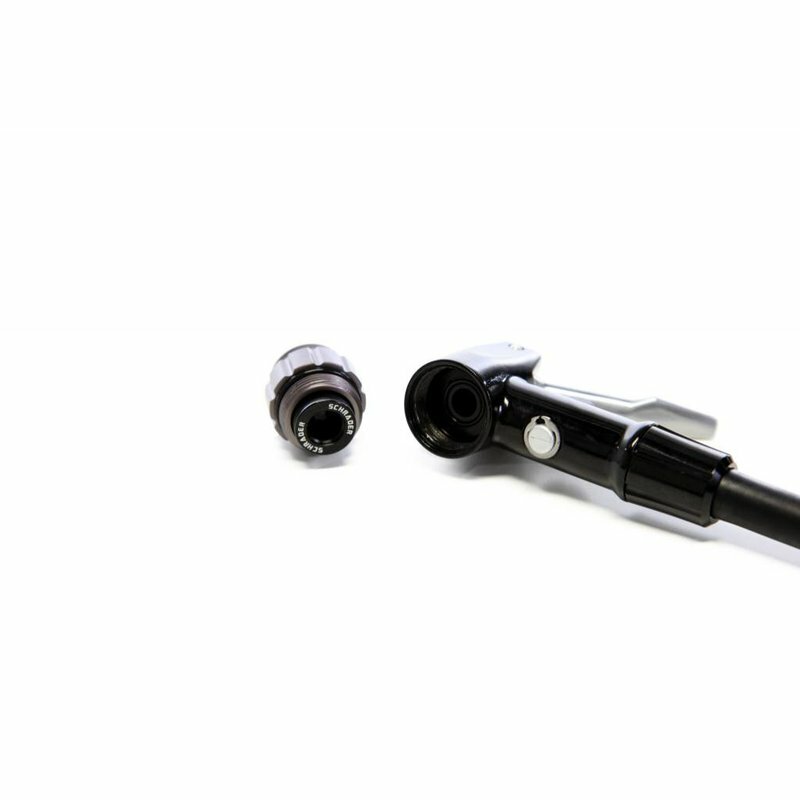 This mountain bike pump has a steel handle, aluminum barrel, and an aluminum sleeve. The reserve ‘TANK’ is incorporated to make it perfect for setting up tubeless tires. 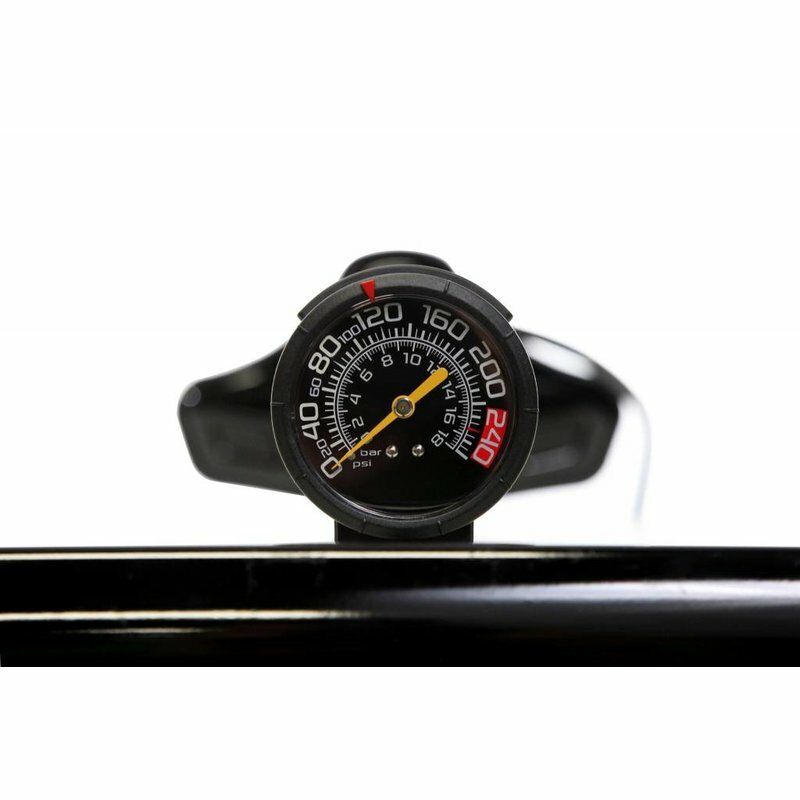 The 2.5 top-mounted gauge makes it easy to read as you pump up your tires on your mountain bike. Riding tubeless is a phenomenal opportunity for all bikers, especially for mountain bikers. However, the process of seating the tire on the rim is a procedure that usually requires the help of an air compressor. 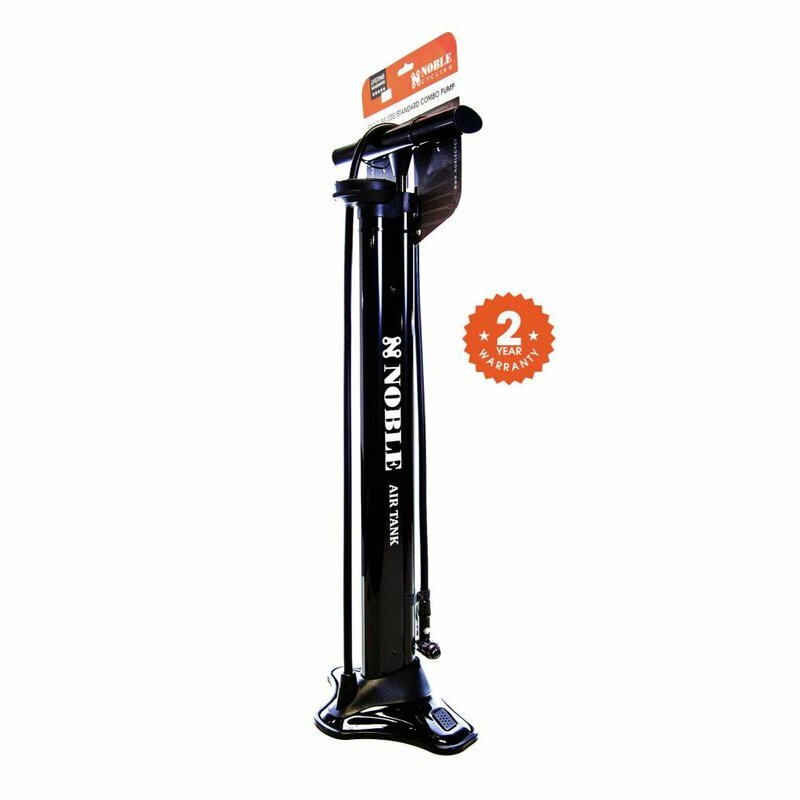 With the Noble Tubeless pump, there is no need for the air compressor because this mountain bike pump comes with the ability to inflate the tank to 260 psi and then release the tank all at once to seat your tubeless tire. 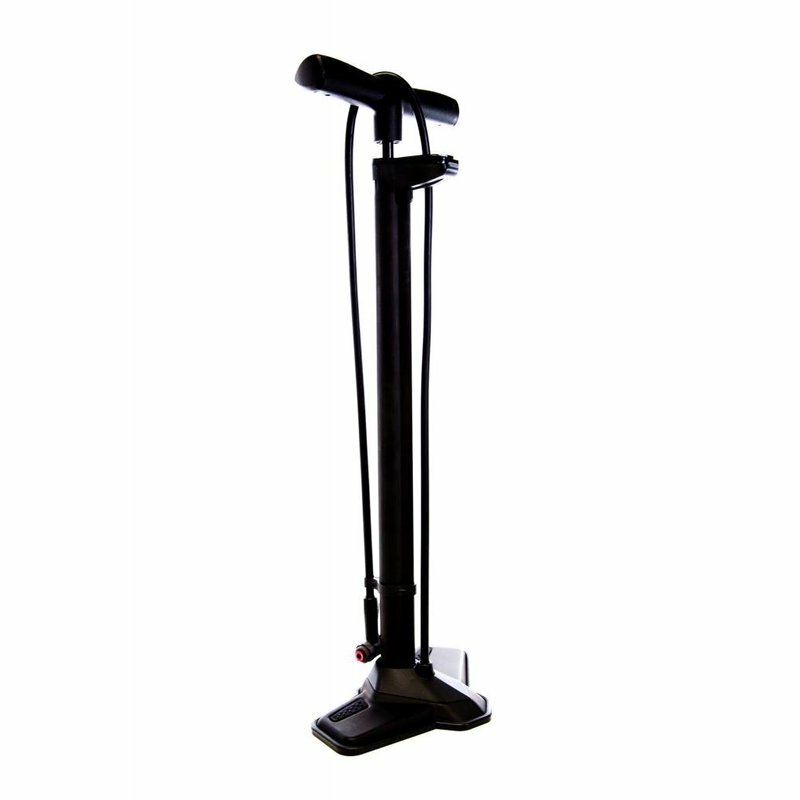 The steel base and the aluminum TANK provide a very sturdy pump for all conditions. 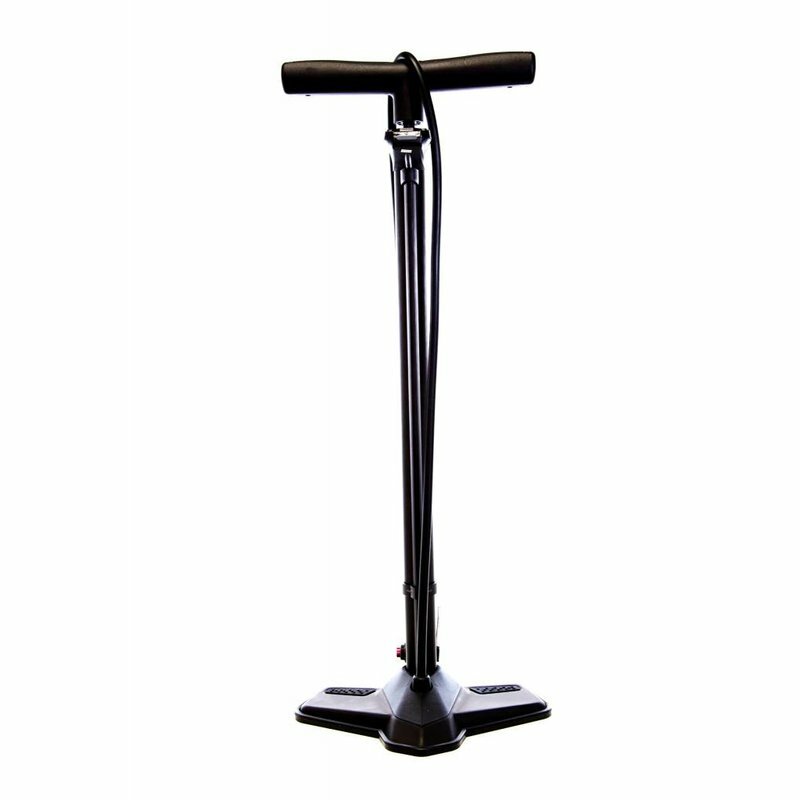 The large steel base with a non-slip pad helps to stabilize the pump so you can use it on any type of terrain. 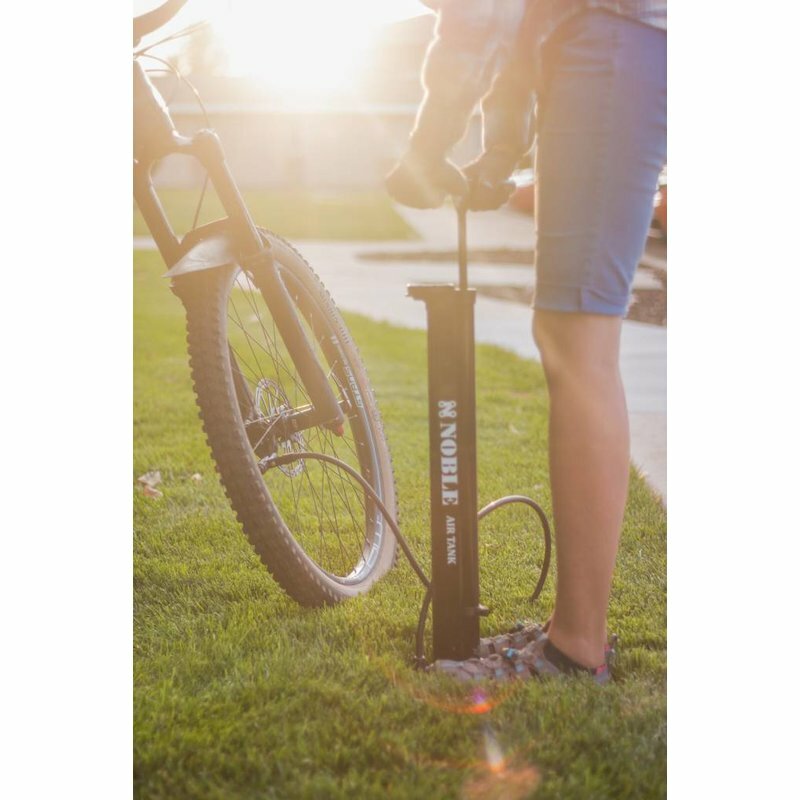 This mountain bike pump can also be used as a regular pump so you can inflate your tubeless tires and your friend’s tires for a great ride. 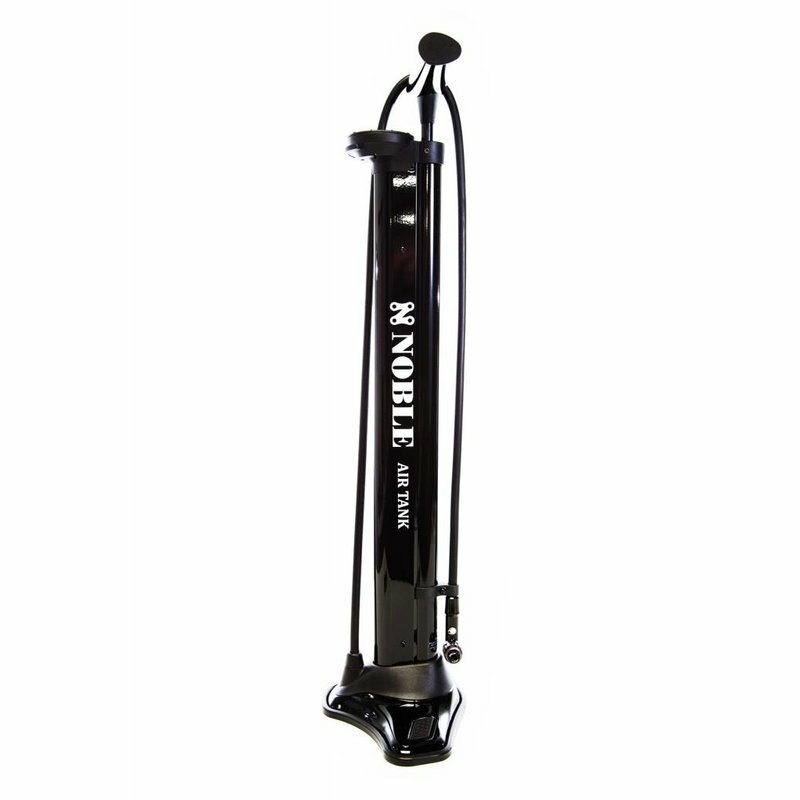 Love this pump now I don't have to go to the bike store to setup my tires tubeless I can do it myself. There are other pumps like this on the market and I almost went with the Topeak version but this was cheaper and so far it's working great, I have had it about 6 months and no complaints.